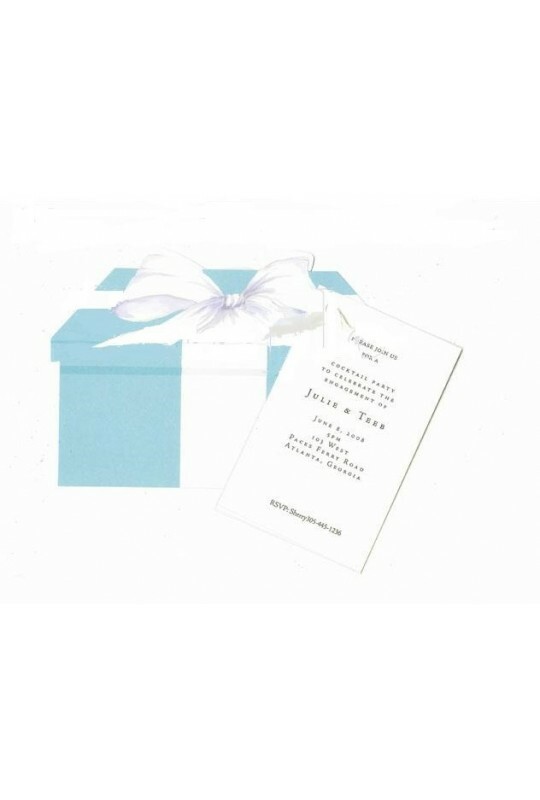 This fabulous invitation in shape of a Tiffany ring box is perfect for a shower, luncheon, rehearsal dinner and more. 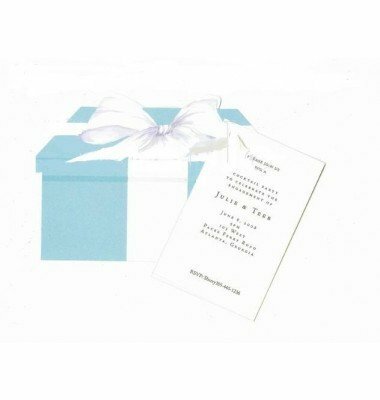 Your party information is printed on a separate 3.5" x 5.5" card that is then attached to the ring box. White envelopes and ribbon included. Attachement of card to ring box required.